Rethink Creativity teaches you and your team how to start constructing a creative mindset by allocating time to change up your daily routine. It will help you rediscover the passion you felt your first day on the job! Not only will leaders and managers be able to benefit from proven strategies, thought-provoking questions, and effective training techniques, but as you move through the book, you'll start enjoying your work more, be a better leader, and find new ways to be creative, curious, and innovative every day. Click here to get the hardcover or Kindle version on Amazon. "We often think about creativity as applicable only to the "artist," but unlocking creativity has deep implications of what it means to be a better leader, entrepreneur, and investor. Rethink Creativity will help push your boundaries to do just that." "Kang believes that anyone can be creative and Rethink Creativity charts a path to make it happen. She does it with inspiration, intelligence, and energy that will transcend all genders, professions, and ages." "Rethink Creativity is a must read for anyone looking to get out of their comfort zone to grow as a person and as a professional. No matter what your field of work is, being creative will improve how you understand yourself and others in order to be a better leader and team player. By sharing her personal story one can relate to the pressures of fitting into society's box. She will intellectually challenge you to accept yourself by providing exercises to foster your creativity - a key component of today's problem solving." 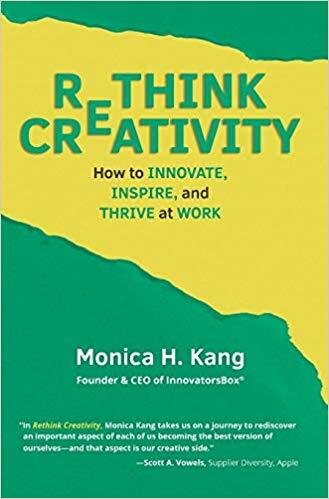 "In Rethink Creativity, Kang takes us on a journey to re-discover an important aspect of each of us becoming the best version of ourselves... and that aspect is our creative side. In person, Monica has a personality that lights up every room she enters. Her ability to make you feel like her best friend comes through effortlessly in her writing as she takes timeless principles and presents them in a way that is new, fresh, and easy to digest." 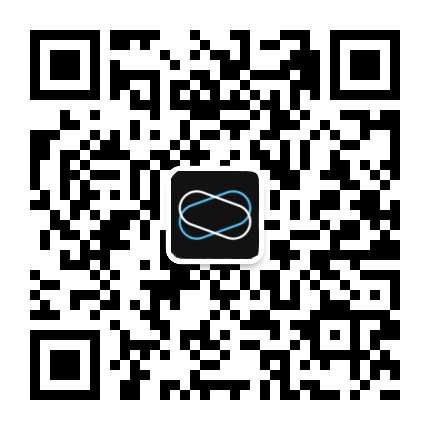 Monica H. Kang is an award-winning educator and internationally recognized speaker who is transforming today’s workforce through the power of creativity. As the Founder and CEO of InnovatorsBox®, she is driven by the belief that everyone is innately creative, and that creativity can be used to catalyze personal and professional change. Through her innovative workshops, consulting, products, and curriculum, Monica teaches creativity to Fortune 500 companies, higher education institutions, government entities, and nonprofits in a tangible, practical, and relatable way—regardless of industry or job title. Driven by her lifelong love of knowledge, she is an adjunct professor at BAU International University where she teaches entrepreneurship and leadership. Prior to InnovatorsBox®, Monica was a nuclear nonproliferation policy expert in international affairs. She holds an MA from SAIS Johns Hopkins University in Strategic Studies and International Economics and a BA from Boston University.